Build. Build a foundation of appreciation and respect. Focus on all the considerate things your partner says and does. Happy couples make a point of noticing even small opportunities to say "thank you" to their partner, rather than focusing on mistakes their partner has made. Explore. Explore each other's interests so that you have a long list of things to enjoy together. Try new things together to expand mutual interests. Establish. Establish a pattern of apologizing if you make a mistake or hurt your partner's feelings. Saying "I'm sorry" may be hard in the moment, but it goes a long way towards healing a rift in a relationship. Your partner will trust you more if he or she knows that you will take responsibility for your words and actions. Relationships Change. Changes in life outside your relationship will impact what you want and need from the relationship. Since change is inevitable, welcoming it as an opportunity to enhance the relationship is more fruitful than trying to keep it from happening. Check in Periodically. Occasionally set aside time to check in with each other on changing expectations and goals. If a couple ignores difficult topics for too long, their relationship is likely to drift into rocky waters without their noticing. Understand Each Others' Family Patterns. Find out how conflicts were managed (or not managed) in your partner's family, and talk about how conflict was approached (or avoided) in your own family. It is not unusual for couples to discover that their families had different ways of expressing anger and resolving differences. If your family wasn't good at communicating or resolving conflict constructively, give yourself permission to try out some new ways of handling conflict. Timing Counts. Contrary to previous notions, the best time to resolve a conflict may not be immediately. It is not unusual for one or both partners to need some time to cool off. This "time-out' period can help you avoid saying or doing hurtful things in the heat of the moment, and can help partners more clearly identify what changes are most important. Remember - if you are angry with your partner but don't know what you want yet, it will be nearly impossible for your partner to figure it out! Establish an Atmosphere of Emotional Support. Emotional support involves accepting your partner's differences and not insisting that he or she meet your needs only in the precise way that you want them met. Find out how your partner shows his or her love for you, and don't set absolute criteria that require your partner to always behave differently before you're satisfied. Distinguish between things you want versus things you need from your partner. For example, for safety reasons, you might need your partner to remember to pick you up on time after dark. But calling you several times a day may really only be a "want." Clarify Your Messages. A clear message involves a respectful but direct expression of your wants and needs. Take some time to identify what you really want before talking to your partner. Work on being able to describe your request in clear, observable terms. For example, you might say, "I would like you to hold my hand more often" rather than the vague, "I wish you were more affectionate." Really Listen. Being a good listener requires the following: (a) don't interrupt, (b) focus on what your partner is saying rather than on formulating your own response, and (c) check out what you heard your partner say. You might start this process with: "I think you are saying..." Or "what I understood you to say was..." This step alone can prevent misunderstandings that might otherwise develop into a fight. Restrain Yourself. Research has found that couples who "edit" themselves and do not say all the angry things they may be thinking are typically the happiest. Adopt a "Win-Win" Position. A "win-win" stance means that your goal is for the relationship, rather than for either partner, to "win" in a conflict situation. Ask yourself: "Is what I am about to say (or do) going to increase or decrease the odds that we'll work this problem out?" Respect Your Partner's Rights. In healthy relationships, there is respect for each partner's right to have her/his own feelings, friends, activities, and opinions. It is unrealistic to expect or demand that that he or she have the same priorities, goals, and interests as you. Be Prepared to "Fight Fair." Couples who view conflict as a threat to the relationship, and something to be avoided at all costs, often find that accumulated and unaddressed conflicts are the real threat. Healthy couples fight, but they "fight fair" - accepting responsibility for their part in a problem, admitting when they are wrong, and seeking compromise. Additional information about fair fighting can be found here. Maintain the Relationship. Most of us know that keeping a vehicle moving in the desired direction requires not only regular refueling, but also ongoing maintenance and active corrections to the steering to compensate for changes in the road. A similar situation applies to continuing relationships. While we may work hard to get the relationship started, expecting to cruise without effort or active maintenance typically leads the relationship to stall or crash! Though gifts and getaways are important, it is often the small, nonmaterial things that partners routinely do for each other that keep the relationship satisfying. Differences in Background. Even partners coming from very similar cultural, religious, or economic backgrounds can benefit from discussing their expectations of how a good boyfriend, girlfriend, or spouse behaves. What seems obvious or normal to you may surprise your partner, and vice versa. If you are from different backgrounds, be aware that you may need to spend more time and energy to build your relationship. Take the time to learn about your partner's culture or religion, being careful to check out what parts of such information actually fit for your partner. Time Together and Apart. How much time you spend together and apart is a common relationship concern. If you interpret your partner's time apart from you as, "he or she doesn't care for me as much as I care for him or her," you may be headed for trouble by jumping to conclusions. Check out with your partner what time alone means to him or her, and share your feelings about what you need from the relationship in terms of time together. Demanding what you want, regardless of your partner's needs, usually ends up driving your partner away, so work on reaching a compromise. Your Partner's Family. For many students, families remain an important source of emotional, if not financial, support during their years at the university. Some people find dealing with their partner's family difficult or frustrating. It can help to take a step back and think about parental good intentions. Families may offer well-intentioned advice about your relationship or your partner. It's important that the two of you discuss and agree on how you want to respond to differing family values and support one another in the face of what can be very intense "suggestions" from family. Friends. There are some people who seem to believe that "I have to give up all my friends unless my partner likes them as much as I do." Giving up friends is not healthy for you or the relationship, except in circumstances where your friends pressure you to participate in activities that are damaging to yourself and the relationship. At the same time, keep in mind that your partner may not enjoy your friends as much as you do. Negotiate which friends you and your partner spend time with together. You might ask: "Which of my friends do you enjoy seeing and which ones would you rather I see alone or at other times when I'm not with you?" If you are feeling distressed about a relationship, you may wish to consider individual or couples counseling. Counseling can help you identify problematic patterns in your current relationship and teach you more effective ways of relating.  If you are grappling with a relationship problem and would like some help, we encourage you to contact the UT Counseling & Mental Health Center at 512-471-3515, or call CMHC Crisis Line at 512-471-CALL (2255) (UT Students Only) for help or information about local counseling services. The University of Chicago Student Counseling & Resource Service Virtual Pamphlet Collection, an excellent source of online information for college students on a wide range of topics. "Healthy Romantic Relationships During College" is based on an audiotape script originally developed by The University of Texas at Austin. The audiotape text was modified by the staff of the University of Florida Counseling Center. With their permission and support, it has been revised and edited into its present form by the staff at The University of Texas at Austin Counseling and Mental Health Center, with Suzanne Fremont, Ph.D., as primary author. Some portions of this document were modified with permission from brochures published by the Counseling Services at Pace University, the Counseling Services at the University of Wisconsin-Eau Claire, and the Counseling Center for Human Development at the University of South Florida. We thank these institutions for their assistance.